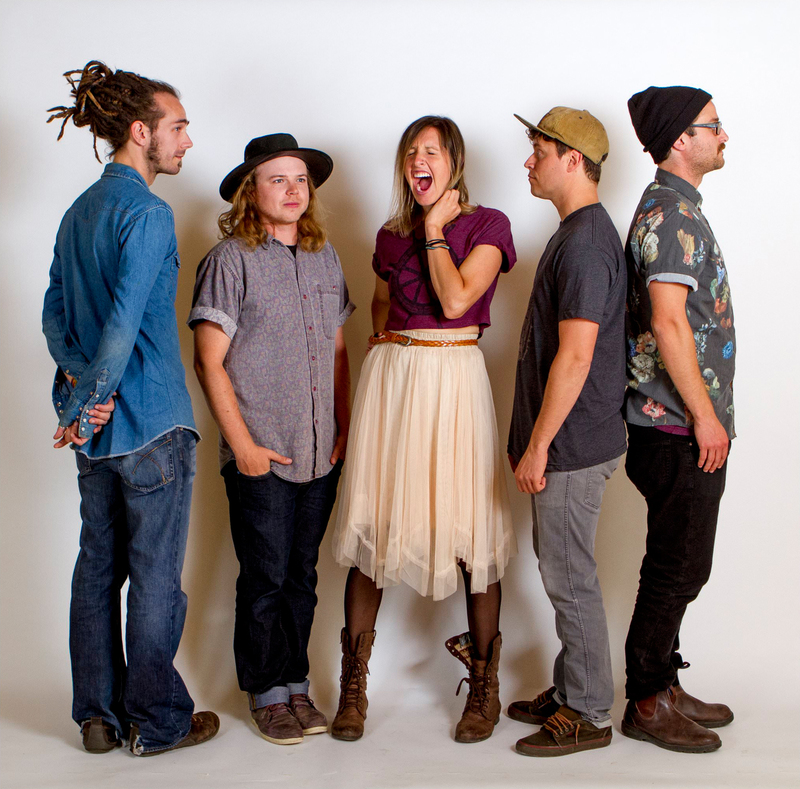 Since their formation in Fernie, B.C., Shred Kelly has been re-defining the term folk music. Influenced by their diverse backgrounds, the group, consisting of Tim Newton (banjo, vocals, guitar, lap steel, ukulele), Sage McBride (keyboards and vocals), Jordan Vlasschaert (bass, acoustic guitar), Ian Page-Shiner (drums), and Ty West (guitar), has taken the traditional sounds of folk music and given it a more contemporary edge. The group has been making a name for themselves right across the country. They have consistently sold out shows, while also performing at some of Canada’s premier music festivals. Shred Kelly visit the Metro Moncton for two performances this week: Wednesday evening, they will perform in the rustic confines of Parkindale Hall in Albert County, while on Friday night, the band plays Moncton’s Plan b Lounge on St. George Street. Tim Newton tells The Times & Transcript that while the group was formed in B.C., it wasn’t music that drew them to the west coast. Newton says that a short while later, the two were asked to support another group as the opening act. The catch: they needed to become a band. With one week until the show, the duo called in favours, recruiting some friends to round out the group. And thus, Shred Kelly was born. They spent their first year playing local and regional venues before earning the opportunity to perform at the 2010 Winter Olympics in Vancouver. It was that show that gave the group a glimpse into their potential career in music. The band released their debut album Goodbye July in 2010, following it up with the recently released Sing To The Night at the end of January. Like their debut effort, Sing To The Night was produced by John Critchley, a former member of Canadian rock band 13 Engines who has since ventured into music production, working with acclaimed artists such as Dan Mangan and Elliott Brood. Aside from the growth that four years of live performances gave the group before making their latest album, Newton says they were simply better prepared to hit the ground running with Sing To The Night, recorded last spring in Toronto. “We had a great time making our first record with John and so it just made perfect sense that we would enlist him for the making of our newest album. John was so patient with us when we made our first album, considering it was really the first time we had the opportunity to record in a professional studio. Although four years may seem like an eternity between album releases, Newton says the group wanted to ensure that they had the right team in place to give Sing To The Night every possible chance of success. Another reason for the delay was the group’s participation in The Peak Performance Project, a contest held by B.C. and Alberta radio station The Peak in an effort to find the best new acts from each of those provinces. While Shred Kelly was ultimately not the grand prize winner, Newton says that the experience they gained via the contest proved invaluable.